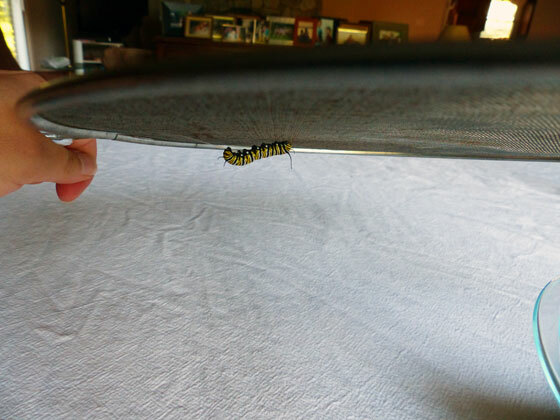 Our Monarch caterpillars are no more. 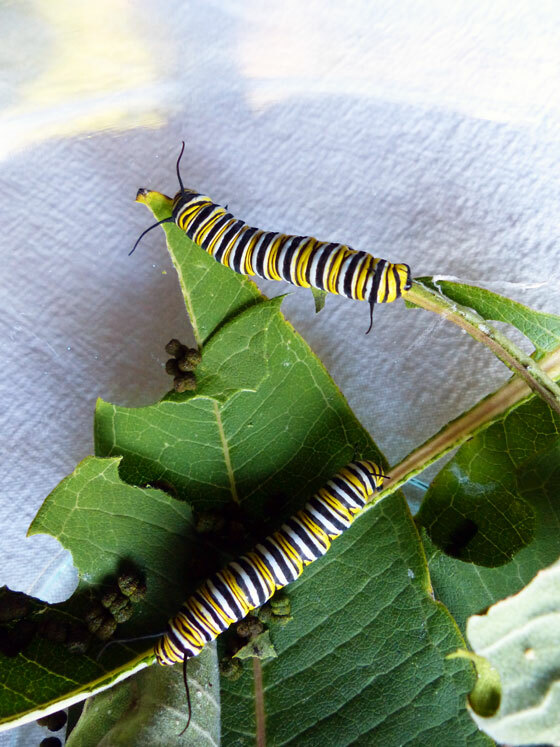 Because we are a big step closer to having Monarch butterflies. Over the past week, EdWING Encarnacion and Kevin CATERPillar grew a lot. 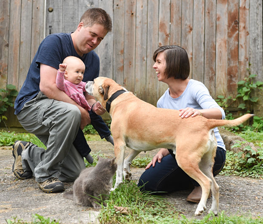 They decimated their daily milkweed rations. Towards the end of the week they started to wander, looking for a spot to hang their chrysalis. Eventually, Ed settled in. But something went wrong. He fell off the screen that covered the bowl. We found him curled in his J lying on a leaf. We could see the webbing that he’d used to anchor himself to the screen hanging off his tail end, so we wrapped that over a stick and taped it in place careful not to touch him with the tape. It seemed to work, because a few hours later he had transformed into a chrysalis, and Kevin had climbed up onto the stick too. 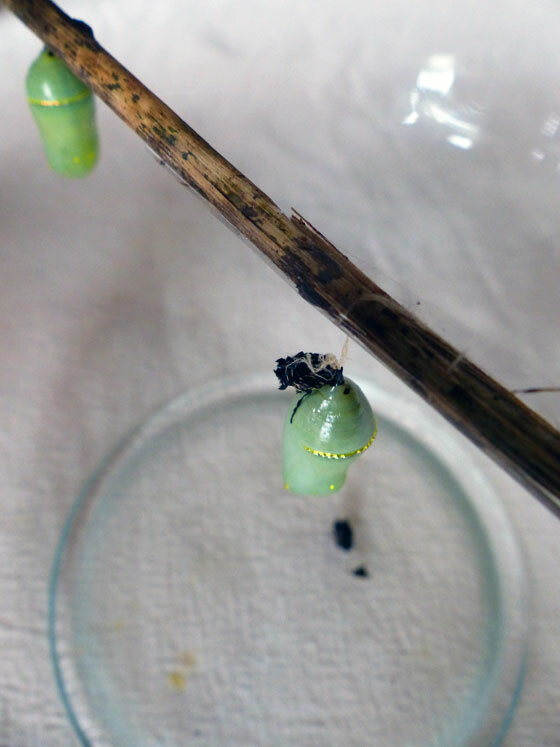 By the next day, we had two chrysalis hanging from the stick. The black speck at the top of Ed’s chrysalis is actually his outer caterpillar skin. 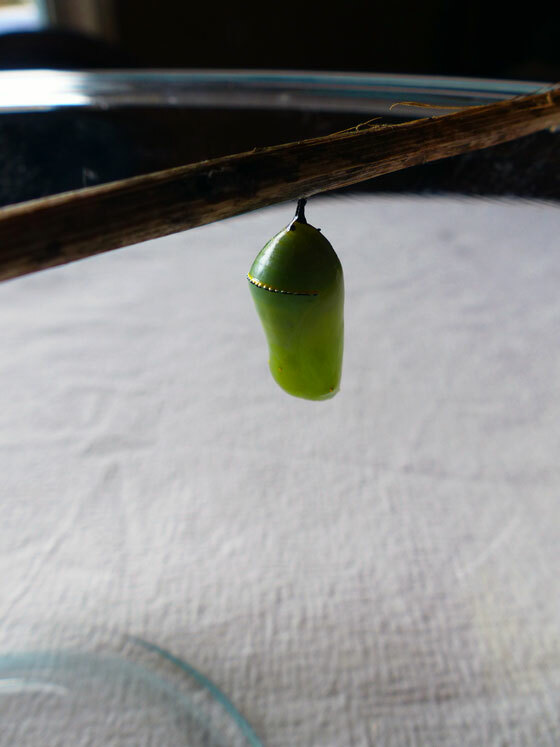 The chrysalis is inside the caterpillar, and he sheds his outer skin as he transforms. 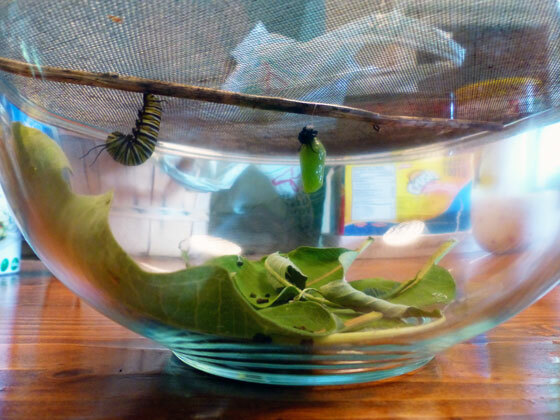 It has been so, so cool to go through this process with our caterpillars. I can’t wait to see what happens next. Wow!! O_O Now I really want to find some! 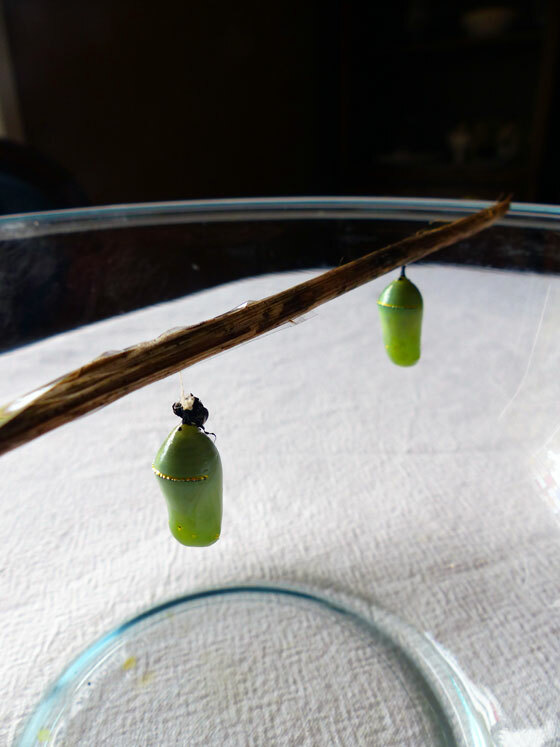 Their chrysalis are actually quite pretty. That’s really cool that you were able to help Ed. Shows what a difference human assistance can make. If he fell off in the wild he probably wouldn’t make it. I’m excited to see the butterflies! The chrysalis are pretty. The gold sparkles are really neat. Wow ! That is so fascinating Julia! I can’t wait to see when they emerge. That’s the part I’m most excited about too. I think so too… obviously!